On February 12, 1947, precisely sixty-four years ago today, a humble man by the name of Christian Dior catapulted to international stardom with the launch of his debut haute couture collection. 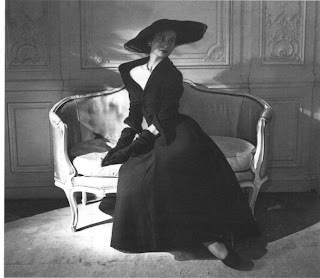 Immediately upon its reveal at Dior's studio, originally titled "Corolle", fashion critic and Harper's Bazaar editor-in-chief Carmel Snow exclaimed, "It's quite a revelation, dear Christian. 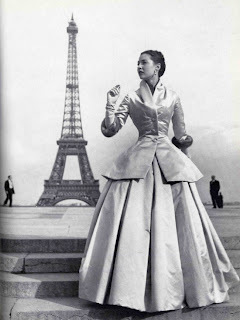 Your dresses have such a new look!". Unbeknownst to her that moment, from merely uttering a sentence of gracious praise, Ms. Snow was to coin perhaps the most iconic debut collection of all time. 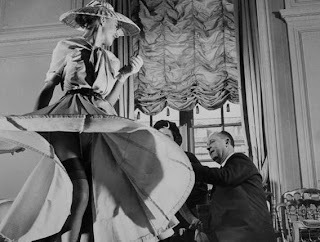 In a firm response to the imposed fabric restrictions during World War II, Dior would zealously craft his revolutionary designs utilizing countless yards of extravagant materials. 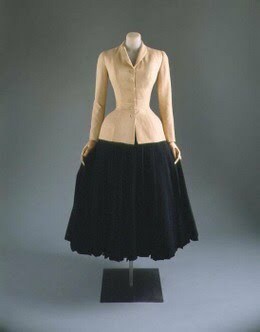 Inspired by his nostalgic emotions towards the Belle Époque fashions of the late 1800's to the first World War, Christian Dior's designs restored ultra femininity to both the fashion industry and women worldwide. 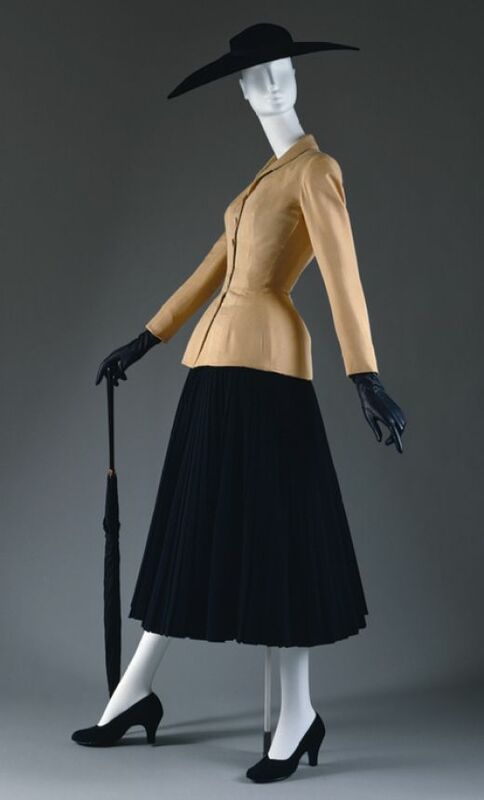 Featuring a cinched waist, accentuated bust, and full-length pleated skirt, Dior's opulent New Look introduced his legendary "Tailleur Bar" ensemble (or simply the "Bar Suit"). 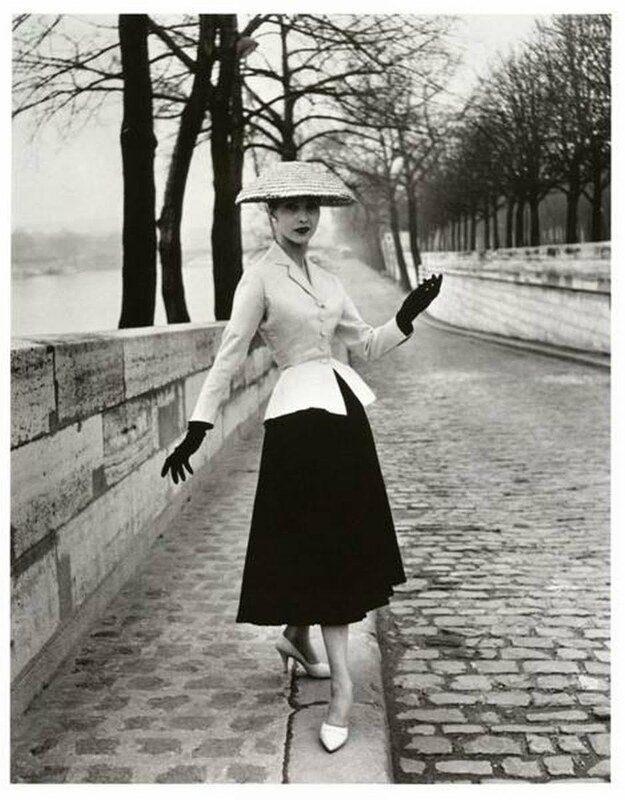 With a dominance of boxy shapes popularized by houses such as Chanel and Lanvin in the 20's and 30's, Christian Dior's New Look would soon take the world by storm and begin the history of contemporary fashion. On this day in 1947, Monsieur Christian Dior introduced an ultra-feminine silhouette which would ignite a global fashion revolution, restore Paris as the pinnacle of haute couture, and launch the legendary empire of Dior. You are very chic. Un saluto from Milan, Italy. Grazie! Your kind words mean a great deal and I appreciate your reading of the blog :). My grandfather was from Milano. Oh wow, thank you for this post! I was just looking for information on Dior's New Look for a school project, and I came across your blog. Dior...what a beautiful label. Stop by anytime, if you want..I'll be really glad of it! thank you for this amazing post abour dior new look. 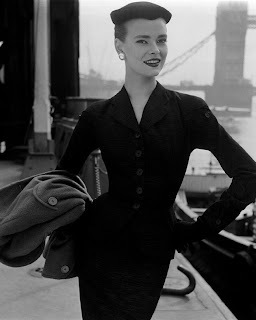 A born and raised New Yorker that is an undeniably genuine lover of fashion, music, and life itself. 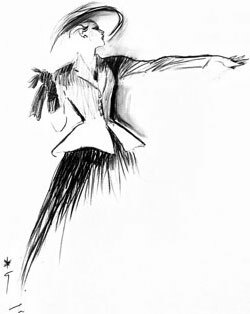 More importantly, fashion is in my blood and I'll die loving this incomparable art form flowing through my veins. 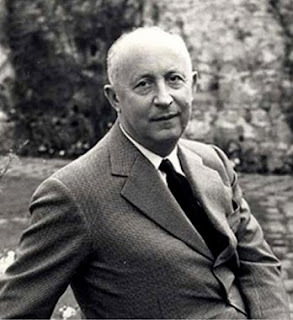 I firmly believe Christian Dior to be the greatest man & fashion designer ever to have graced the Earth. My affinity for him and his eponymous fashion empire is undeniable. © Copyright Diorable Style. Picture Window theme. Powered by Blogger.